As this school year draws to a close the team is working to prepare for next year by developing curriculum and holding elections for next year’s leadership. Though we may have taken an L this year next year we plan to bounce back. Ishan and Alex are working on revamping the website, so don’t panic if nothing works for a bit. The Iron Riders, FRC Team 4180, have had a great FIRST Robotics Competition Season! Following the hype-inspiring kick off of this years challenge, FIRST Stronghold, we had our busy, six week Build Season. It was full of challenges and achievements, resulting in this year’s beautiful robot, Silver! This season, we participated in two Pacific Northwest District Events. At Glacier Peak, we finished the Qualification Round 5-9-0 in Rank 24, and made the 7th Alliance. Teamed with 4-H Botsmiths and M*A*S*H, we made the quarterfinals, going toe-to-toe with SRF, CyberKnights, and the RoboCubs, scoring our first 100 point match! For the first time in team history, we made it to the Elimination Round at both of our District Events. At Mount Vernon, we finished the Qualification Round 7-8-0 in Rank 21, and once again made the 7th Alliance. This time allied with Top Gun and the NeoBots, we rocked the quarterfinals, squaring off once more with the CyberKnights, who were allied with Chill Out and Team Pronto. After scoring two 100 point matches, we lost 111 to 112 points in a tiebreaker match! However, our hard work was rewarded when we won our first ever event award, the 2016 Innovation in Control Award sponsored by Rockwell Automation. Because of the way the District Ranking System works, there is still a chance we might make it to the District Championships in Portland, so for now, Silver is remaining safely in its bag. Either way, it's been an amazing FRC season. Build Season is FINALLY over! ..But not really. I’d like to thank everyone for coming out these last few days, especially on Monday and Tuesday when members and mentors worked until 11pm. Much thanks to our project manager, Aaron Jacobson, for organizing the build season debrief yesterday and for leading today’s competition planning session. 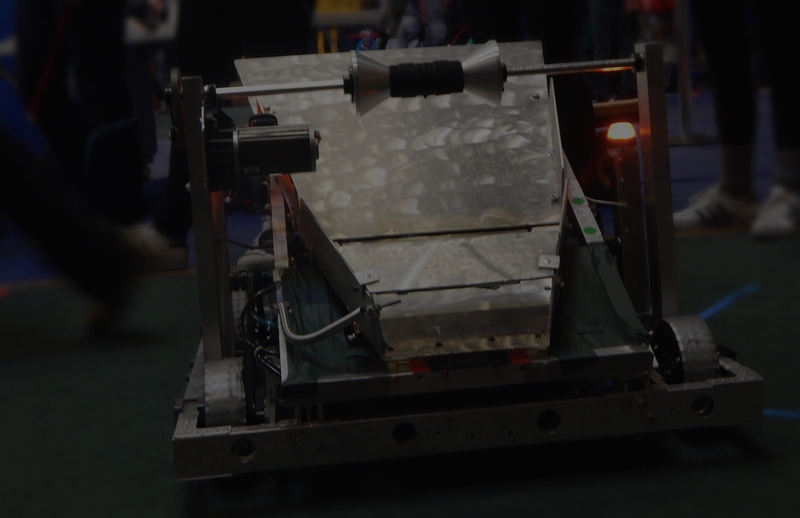 Next week the team plans to organize competition carpools, food, scouting, robot access, pit schedules and strategy. In the following week, we will use our “out of bag” time to test robot mechanisms and autonomous. The schedule for team elections as well as competition jobs will be announced on Wednesday the 2nd. It’s a lot to accomplish before the 11th of March, but we will manage. For now, keep your eyes peeled for an email with more competition details. If you already know that you are interested in providing a ride or food for our competitions at Glacier Peak (3/11-3/13) or Mount Vernon High Schools (3/18-3/20) you can contact me at vp-communications@ironriders.org. Build Season is almost over! We have less than a week left before the robot is to be bagged and completed. This weekend the team built and tested the robot at Electroimpact. 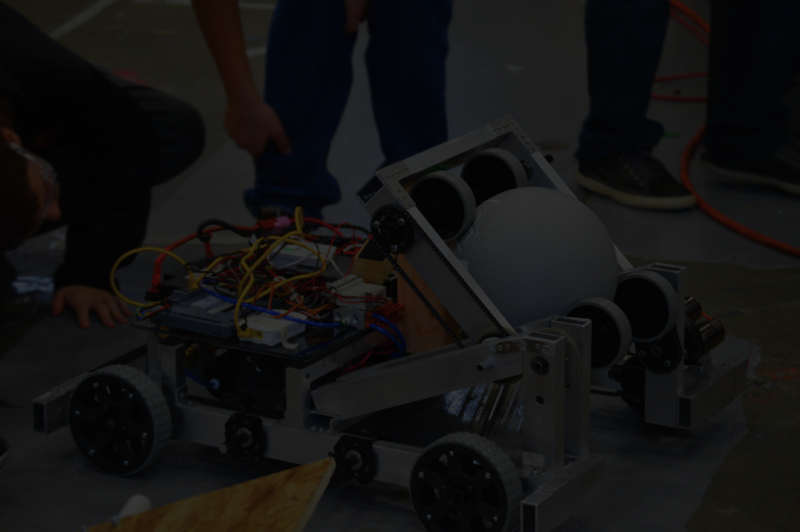 The following systems on the robot are functional: flywheel shooter, drivetrain motors, pneumatic piston, and gear shifting. Most of the work left is in integrating these systems. In the upcoming days the team will also be constructing and attaching the robot’s intake system as well as testing autonomous code. We could not have been so productive this weekend without Jim Thompson. Thank you for getting food and workspace for the team. Thank you Andrew Murphy for providing the last two Wednesday dinners (tonight’s curry was wonderful). Thank you to all of the parents who drove members and supplies up to and back from Mukilteo. So much of what we do hinges on community support, and we have that in spades. The team has yet to receive vital parts for the robot. Waiting on about a $1000 worth of parts from VEX is stressful. We aren’t in crunch time quite yet, but Stop Build Day is ever approaching. The team is shifting into high gear now that semester finals are over. The chassis is mostly constructed and the robot CAD is almost complete. We have milled parts for the shooting and intake systems, tested more efficient joystick code, and furthered image recognition research. Thank you Ben Swanson for providing this week’s Wednesday dinner. The homemade pizza was delicious and it was nice to see an Iron Riders alumnus. Thank you Ellen Tan for bringing side dishes. Thank you Keith, Daniel, Mike, Fitz, and John for pushing the team in the right direction. As always, thank you Mr. Ruff and Ms. Myers for keeping your doors open.